San Antonio, TX, November 14, 2017 –(PR.com)– Chad Clark opened the doors to C.D. Clark Diamonds & Design Studio in San Antonio, Texas in 2017. After more than 30 years of selling diamond jewelry wholesale, manufacturing, designing and trading precious metals, Chad made the decision to turn his focus towards creating custom-designed jewelry uniquely suited to the discriminating tastes of his clientele. Chad and his team of certified gemologists have a respected history in the business, and C.D. Clark Diamonds & Design Studio is making its name and setting a new standard for fine jewelry not only in San Antonio, but throughout the state of Texas. C.D. Clark guarantees its customers will receive the highest level of professionalism and customer service throughout the custom design process. C.D. Clark also guarantees customers interested in selling gold or other fine jewelry items, will be offered the highest fair market value for your items. While custom design is a specialty at C.D. Clark, Chad and his team are also pleased to offer full service jewelry repairs, appraisal services, engraving, pearl & bead restringing, watch repairs and free jewelry cleaning as well. Being selected as one of the newest members of Preferred Jewelers International™, C.D. 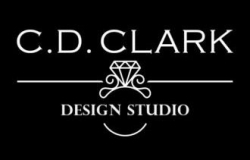 Clark Diamonds & Design Studio has joined an elite, international network of independent retail jewelers who are dedicated to providing excellence in service, support and value. As part of that network, C.D. Clark Diamonds & Design Studio is now offering the Preferred Lifetime Nationwide Warranty, which is included, when applicable, in customers' purchases at no additional charge. The Preferred Warranty fully guarantees workmanship and materials on customer purchases. If service is required, the guest would simply go to a Preferred Jeweler and it will be repaired and serviced at no charge. The Lifetime Nationwide Warranty program also includes the replacement of any missing diamonds up to 0.20 ctw. With the addition of the Preferred Lifetime Nationwide Warranty, customers of C.D. Clark Diamonds & Design Studio have the benefit of nationwide protection, assurance and trust for all their fine jewelry purchases.